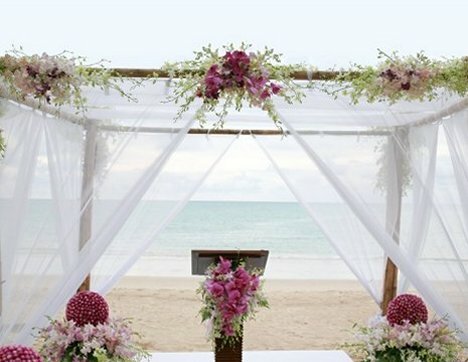 This beach wedding canopy is lush with a combination of tropical dendrobium orchids, dark pink button dahlias and leather leaf fern. I'm not going to kid you. 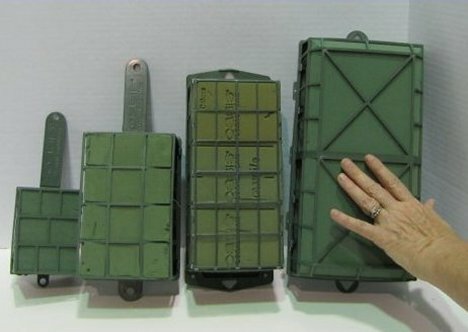 As pictured, each piece is pretty pricey - but absolutely breathtaking. With the right products, you can create your own flower swags, sprays and impressive flower spheres surrounded by delicate orchids. 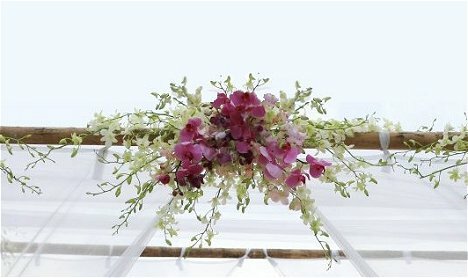 The cascading swags can be created on Grande Slant Belle Bouquet Holders and can be attached to each side of the canopy. 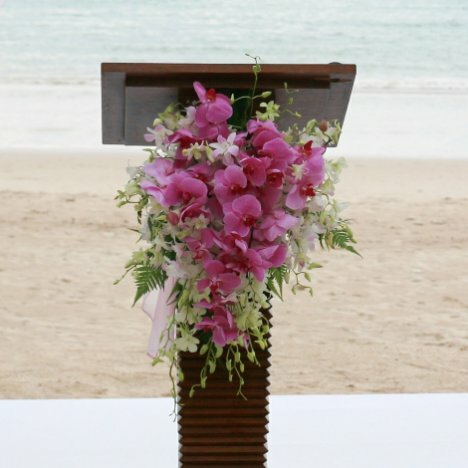 I have many step by step tutorials for cascading bouquets that use the same floral techniques for creating this gorgeous cascade in front of the officiant's podium. Flower swags can be created on an Oasis floral cage available in different sizes. Show from left to right are two sizes of Floracages, a Syndicate Brick cage and a Oasis Jumbo cage. The center is hot pink phalaenopsis orchids surrounded by white dendrobium orchids. Want to spend less money? A similar look can be achieved with white snapdragons and white spray roses. These gorgeous florals are made with 8" Oasis spheres and an Oasis Sculpting Sheet. Completely saturate the floral foam of both the sphere and the sheet. The sheet is so large I set it under a shallow running faucet. Be patient and allow both of the foams to get fully saturated. 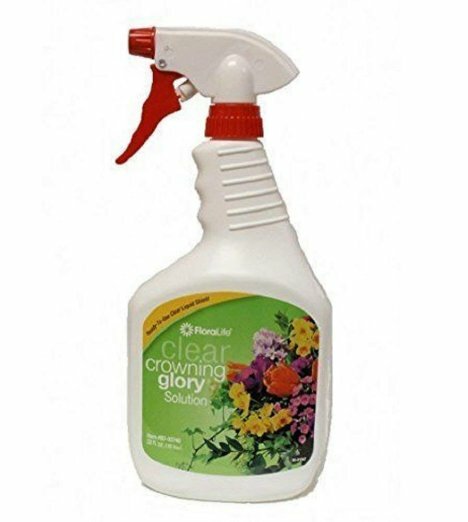 You don't want any dry patches that could wilt your flower stems. Take the saturated foam ball and gently push into the center of the sculpting sheet to mark an indentation. You can gently push down with your fingers more to create a hollow area for the ball to rest in. 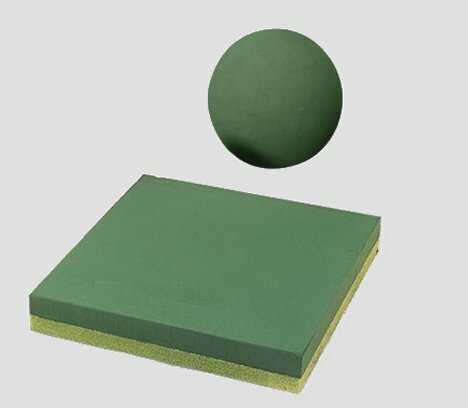 Using wooden Cowee stakes, push them completely through the ball and into the foam of the sheet. Use several, as the stakes are made of porous wood and will swell after getting wet and create a tight lock between the sphere and the sheet. Then flower your sphere, followed by flowering with the Dendrobium orchids. See video below. 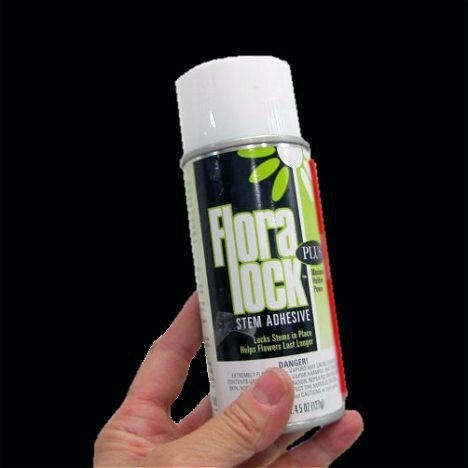 I like to lock my stems in place with Floralock Stem Adhesive. You don't want any orchids falling out during delivery. Caution your driver to handle them with care. Mist well each day with either Crowning Glory or Finishing Touch flower sealant, store in a very cool room, and rewater each foam piece as needed. Flowers can such out a lot of moisture and you don't want to let them go dry before your wedding day.